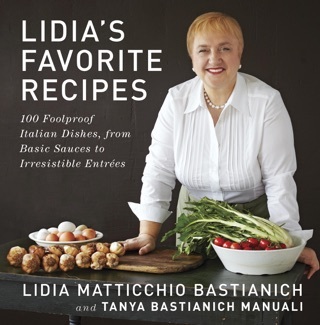 Featuring 140 mouthwatering new recipes, a gastronomic journey of the Italian regions that have inspired and informed Lidia Bastianich's legendary cooking. 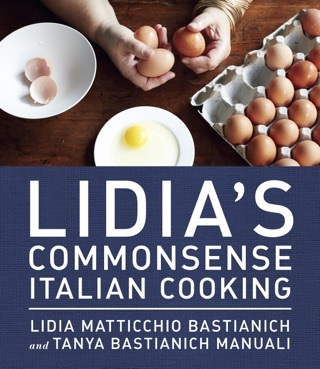 For the home cook and the armchair traveler alike, Lidia's Italy offers a short introduction to ten regions of Italy—from Piemonte to Puglia—with commentary on nearby cultural treasures by Lidia's daughter Tanya, an art historian. · In Istria, now part of Croatia, where Lidia grew up, she forages again for wild asparagus, using it in a delicious soup and a frittata; Sauerkraut with Pork and Roast Goose with Mlinzi reflect the region’s Middle European influences; and buzara, an old mariner’s stew, draws on fish from the nearby sea. 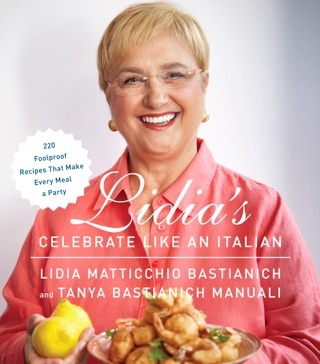 · From Trieste, Lidia gives seafood from the Adriatic, Viennese-style breaded veal cutlets and Beef Goulash, and Sacher Torte and Apple Strudel. · From Friuli, where cows graze on the rich tableland, comes Montasio cheese to make fricos; the corn fields yield polenta for Velvety Cornmeal-Spinach Soup. 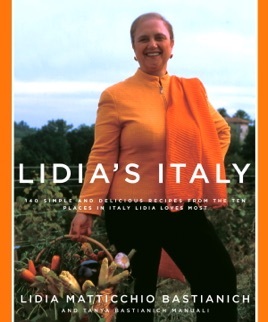 · In Padova and Treviso rice reigns supreme, and Lidia discovers hearty soups and risottos that highlight local flavors. · In Piemonte, the robust Barolo wine distinguishes a fork-tender stufato of beef; local white truffles with scrambled eggs is “heaven on a plate”; and a bagna cauda serves as a dip for local vegetables, including prized cardoons. · In Maremma, where hunting and foraging are a way of life, earthy foods are mainstays, such as slow-cooked rabbit sauce for pasta or gnocchi and boar tenderloin with prune-apple Sauce, with Galloping Figs for dessert. 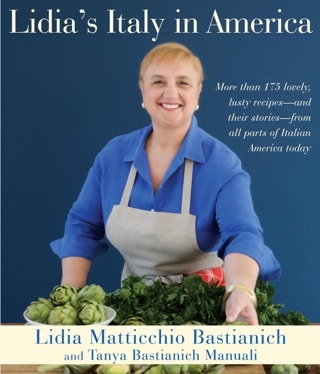 · In Rome Lidia revels in the fresh artichokes and fennel she finds in the Campo dei Fiori and brings back nine different ways of preparing them. · In Naples she gathers unusual seafood recipes and a special way of making limoncello-soaked cakes. · From Sicily’s Palermo she brings back panelle, the delicious fried chickpea snack; a caponata of stewed summer vegetables; and the elegant Cannoli Napoleon. · In Puglia, at Italy’s heel, where durum wheat grows at its best, she makes some of the region’s glorious pasta dishes and re-creates a splendid focaccia from Altamura. There’s something for everyone in this rich and satisfying book that will open up new horizons even to the most seasoned lover of Italy. 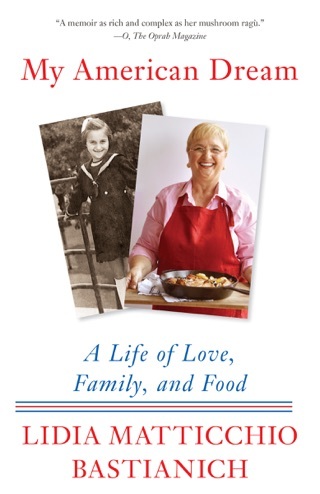 Surely one of the secrets to Lidia Bastianich's success as a television personality is the high quality of her companion books. Bastianich's never seem like mere collections of stills from the show; they impart new information and are full of dishes even dedicated Italophiles may not know, such as Gnocchi Ravioli with Sausage-Spinach Filling and Sage Pudding. However, the concept for her latest show, and as a result this eponymous book, feels slightly haphazard. While Bastianich is to be applauded for overlooking the obvious Tuscan targets like Florence to concentrate instead on the region's less well-known natural beauty in the Maremma area with its mammoth national park, her "places" are inconsistent. They include single cities (Padova and Treviso) and whole regions (Piedmont). And while Bastianich's native Istria offers alluring specialties such as Fresh Pasta Quills with Chicken Sauce, it makes an odd subject for an opening chapter, since it is no longer part of Italy. Bastianich's daughter and coauthor, who runs an Italian tourism company, suggests a handful of sites to visit in each location, be it Spaccanapoli in Naples or a Cistercian abbey 35 miles outside of Turin. Bastianich is probably incapable of creating a truly bad book the recipes are as functional as they are tempting but this all-over-the-boot offering is not her best. 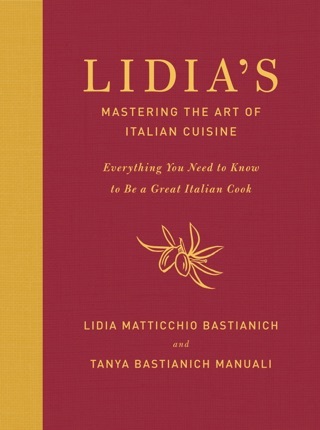 I have a hard cover version of this book, and I've made a few recipes out of there that I just loved. There are many more I'd like to try, but I haven't had time. The gnocchi ravioli was great, just go easy on the butter.